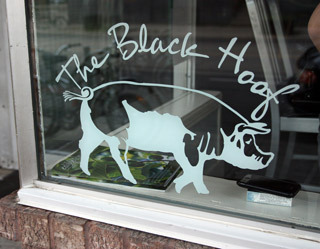 Toronto's sister restaurant to The Black Hoof - the Hoof Cafe will be closing on February 28th! So for those of you carnivore lovers (me included) you must get there before it closes. I have been dying for ages to go, and this is just the push to do it! The space will re open in April as a more upscale Black Hoof and Company! Read more here from Jen and Grant about the crazy idea to change an already iconic spot into something new and completely different! The good news - they will now be taking reservations! Yipee! !